Traveling through space in search of allies is no joke, and it's especially difficult when you are trying to take a shortcut through Mandalorian controlled space. 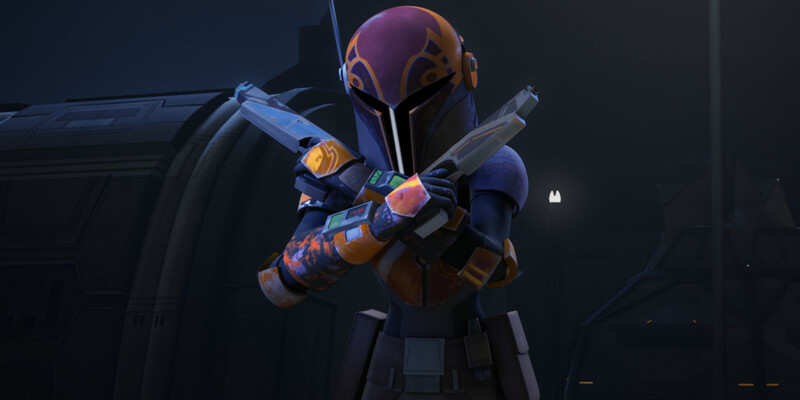 Known for their warrior ways, Sabine and Hera do their best to navigate through the Concord Dawn system without being fired upon, but what would an episode of Star Wars Rebels be without a little combat? The opening sequence of this week's outing is simply gorgeous, with its purple and blues highlighting a shattered world in the distance that the Mandalorians are using as a base of operations. Unbeknownst to the now growing rebel alliance, the proud race has formed an alliance with the Imperials. What ensues is one of the best space combat scenes you'll see on television, featuring some awesome piloting skills by Hera and Sabine. Even though the Mandalorian leader Fenn Rau got the better of Hera, she once again proved why she's in charge of the Ghost crew. Her injuries had the greatest emotional impact on Kanan, who immediately volunteered for a dangerous mission to cripple the Mandalorian's ships. We later learn that Sabine too wanted a little payback, but the vengeance see sought was of a more violent nature. It was surprising to see how peaceful Kanan's approach initially was towards Fenn Rau and his men. At first it appeared that the Jedi wanted revenge for almost killing Hera, but we quickly realize that he went back to Concord Dawn seeking allies. In his mind, everyone deserves a second chance. One of the highlights from this week was the scene where Kanan confronts Fenn Rau at the local cantina. There is a history between the two and Kanan feels obliged to offer the great warrior a second chance since he was responsible for saving not only his life, but his master's life as well. They are two men who took very different paths after the end of the Clone Wars, but they fought side-by-side once before, so perhaps they can do it again? Fenn Rau tells Kanan at the end of the episode that he is only helping out of obligation, but there seems to be an understanding between the two that will come into play later down the road. Sabine too has a stake in all of this as well. She descends from the Deathwatch faction of the Mandalorian people, but she does not share in their ideals. Like most of the Ghost crew, she is an outcast. Hopefully we'll learn more about her story in a future episode, but it was still nice to hear her share a bit of her past life. 'The Protector of Concord Dawn' was another enjoyable entry in the Rebels universe, which introduced a new formidable character named Fenn Rau. Which moments were your favorites from this week's episode? Stay tuned to see what happens next. 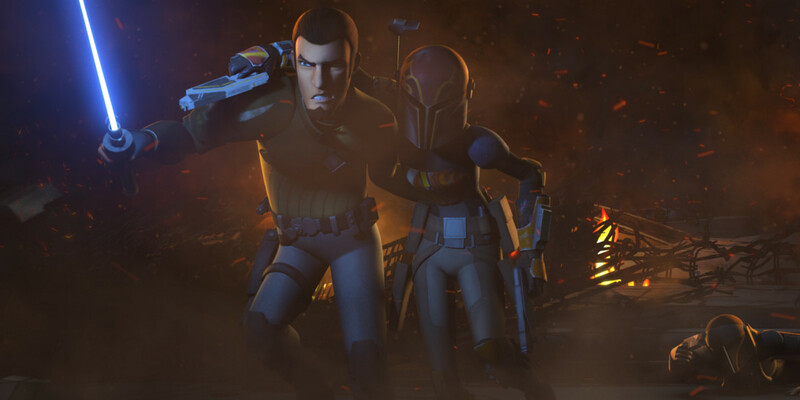 Star Wars Rebels continues with 'Legacy of Lasan' next Wednesday @9:30 on Disney XD.